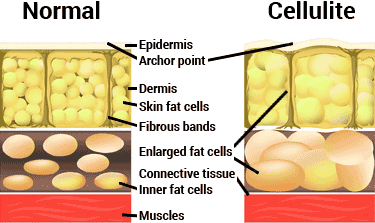 Cellulite is defined as subcutaneous fat that causes the dimpling of the skin, due to the fat pushing through connective tissue above. It isn’t harmful, but many people wish to get rid of it for aesthetic reasons. This condition affects 90% of women over their lifetime. Cellulite can occur in both skinny and overweight people and is more common among women than men because they carry their weight more around their thighs and buttocks. It usually occurs around the thighs, buttocks, and sometimes the upper arm areas. The condition is also less noticeable on darker skin. 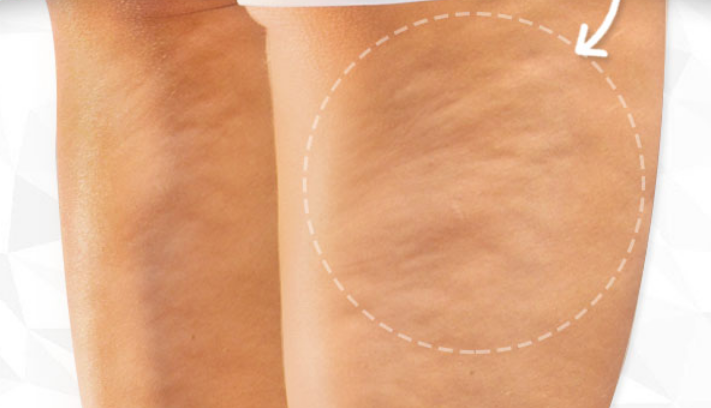 Loss of circulation is one of the main causes of cellulite. Mesotherapy: This treatment involves injecting substances such as minerals, vitamins, enzymes, and amino acids into the tissue beneath the skin to dissolve fat. Side effects include: swelling, infection, and irregular contours. Tangerine oil: Used topically, or ingested (3 drops per glass of water), this oil improves circulation and helps break down fat, especially subcutaneous fat.